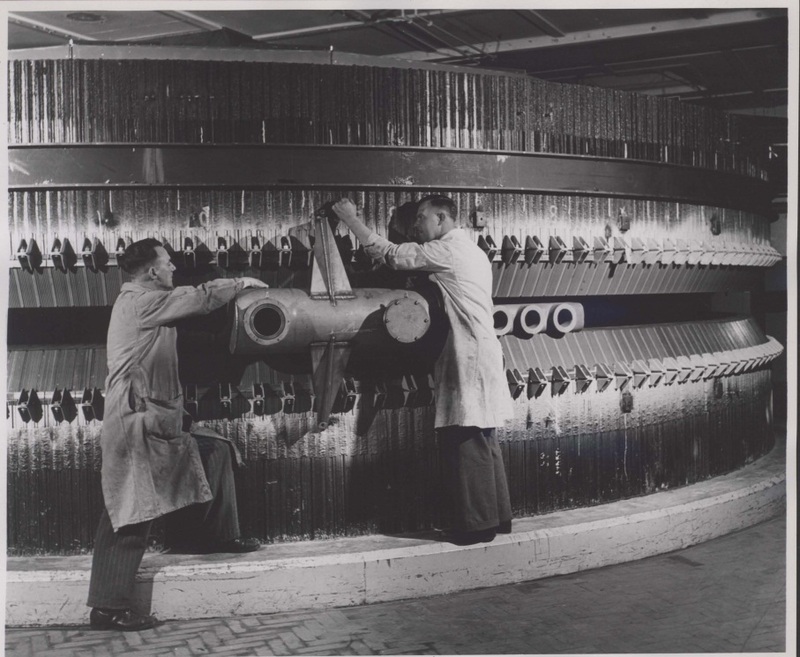 A young Norwegian engineer, Rolf Wideroe, uses an alternating current (AC) voltage for a linear accelerator consisting of drift tubes and gaps for his PhD thesis. Rolf Wideroe states the Betatron principle in a published paper. 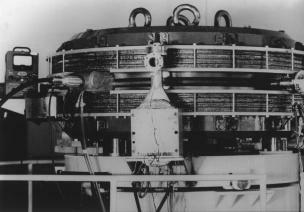 The principle behind the betatron shows that the radial magnetic field of a particle is half of the average magnetic field across the accelerator. 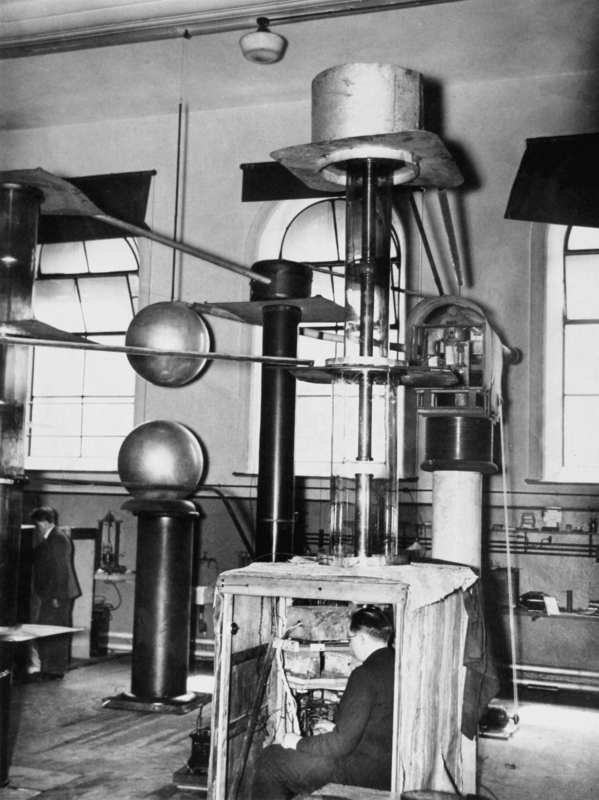 John Cockcroft and Ernest Walton, develop their particle accelerator in Cavendish Labs, developing the Cockcroft-Walton generator to supply the high voltage in the process. David Sloan develops a linear accelerator capable of accelerating Mercury ions to 1.25 MeV, inspired by Wideroe's accelerator. 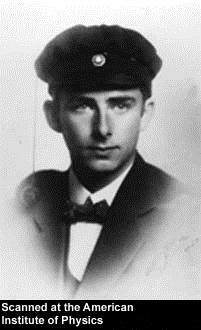 Ernest Lawrence comes up for the idea of the Cyclotron accelerator and with the help of Milton Livingston, builds the first Cyclotron which was capable of accelerating protons first to 80 keV then later, with modification, to 1.1 MeV. 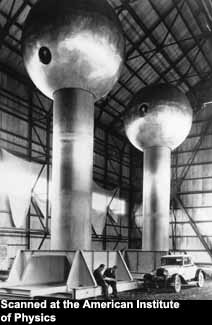 Robert Van de Graaff develops his particle accelerator using a high voltage generator, also developed by Van de Graaff, called the Van de Graaff generator. 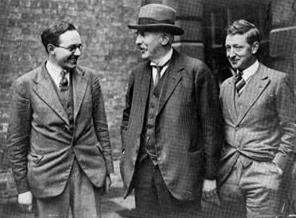 Cockcroft & Walton disintegrate an atomic nucleus using their Cockcroft - Walton accelerator. 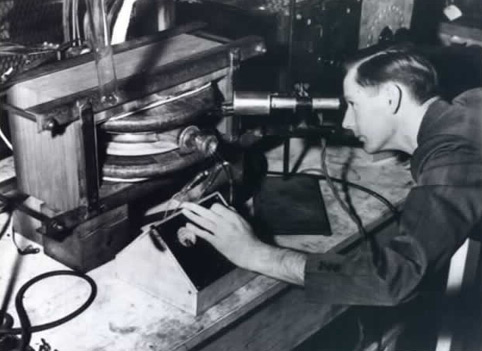 Lawrence & Milton Livingston using magnetic focusing in their Cyclotron accelerate a particle to 1.22 MeV and in response to Cockcroft & Walton's work disintegrate an atomic nucleus a few weeks later. 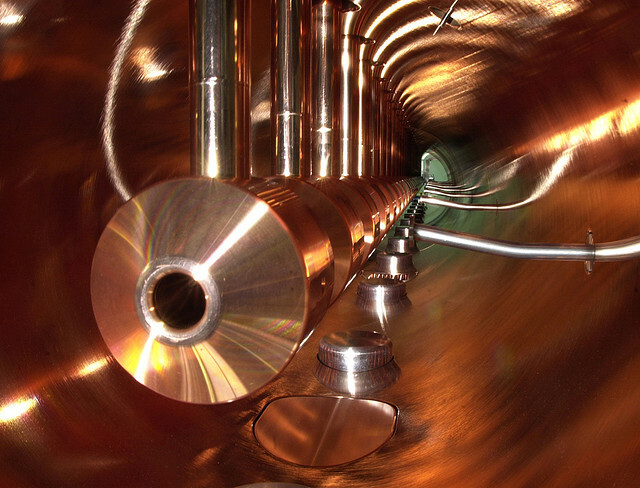 A Van de Graaff accelerator is built capable of accelerating hydrogen ions to 0.6 MeV. Taking advantage of the development of new electromagnets and the availability of deuterium, Lawrence & Livingston accelerate deuterium ions to 5 MeV. Using a larger electromagnet, Lawrence & Livingston accelerate deuterium ions to 8 MeV. Hans Bethe & Morris Rose state the relativistic limitations of the Cyclotron, that the maximum energy achievable in a Cyclotron is 25 MeV. The relativistic orbital frequency of a particle in a cyclotron depends on the velocity v of the particle, meaning that as the particle accelerates, it slowly drops out of sync with the AC voltage. 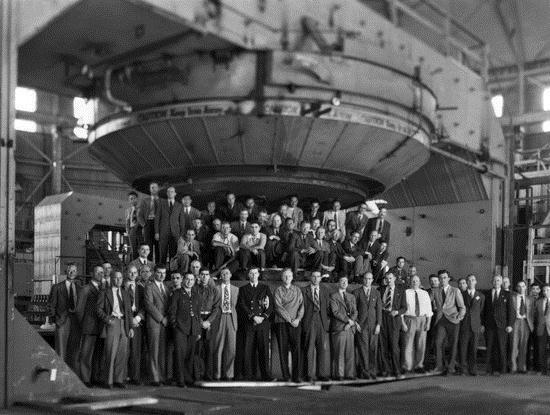 Increasing the size of their Cyclotron from 37 inches to 60 inches, Lawrence & Livingston accelerate deuterium ions to 20 MeV. 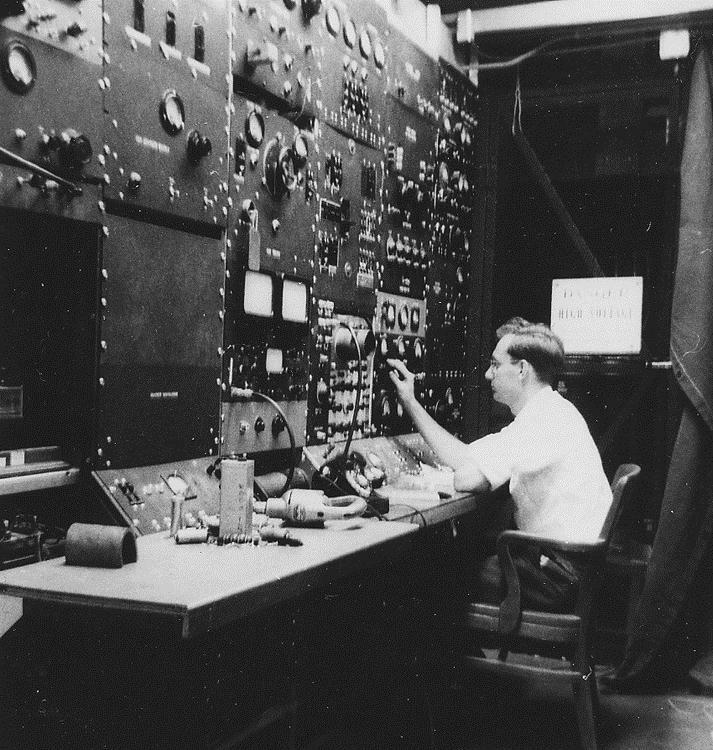 Donald Kerst builds the first accelerator taking advantage of the Betatron principle, the Betatron, which accelerates electrons to 2.3 MeV. 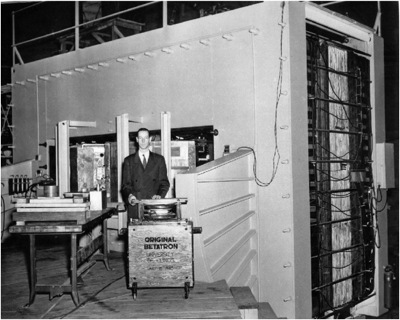 Donald Kerst builds a Betatron capable of accelerating electrons to 20 MeV and later a second Betatron capable of accelerating electrons to 80 MeV. Wideroe has the idea of colliding particle beams and mentions it in a letter to a colleague. However as he is working in industry the idea does not reach the scientific community. The Russian physicist Vladimir Veksler & the American physicist Edwin McMillan both independently come up with the idea of phase stability. Scientists at Berkeley apply phase stability to one of their Cyclotrons and discover that a lower voltage is needed to produce the same acceleration using phase stability. 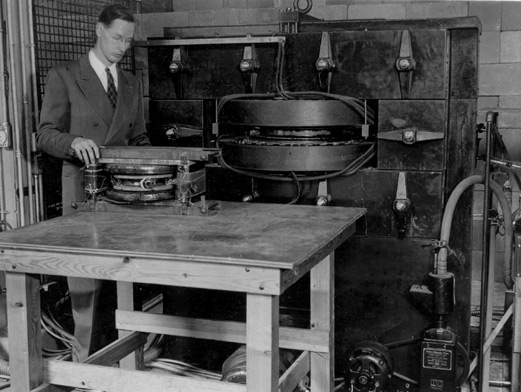 Two English scientists, Frank Goward & D.E. 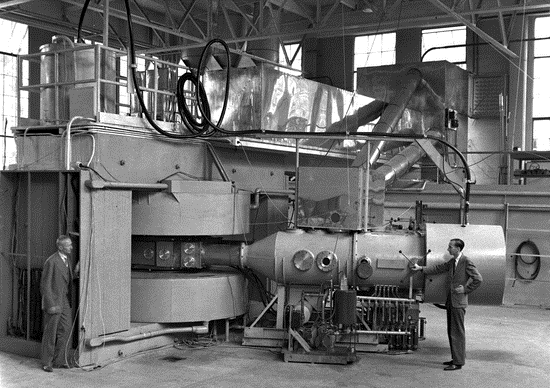 Barnes, construct the first Synchrotron by modifying an old Betatron. 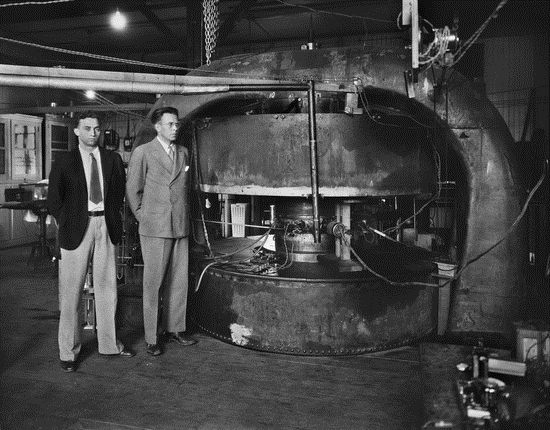 Luis Alvarez & Wolfgang Panofsk, using technology developed during WWII build a Linac that accelerates protons to 32 MeV. Scientists working at General Electric Research Laboratory discover Synchrotron radiation when they accelerate electrons to 70 MeV in a Synchrotron. Scientists at Berkeley using their Synchrocyclotron accelerate deuterium ions to 190 MeV and He2+ ions to 380 MeV. 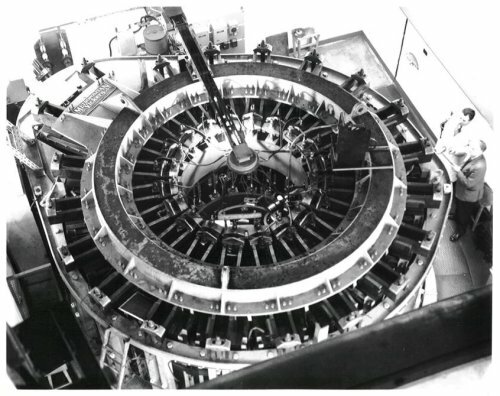 Bill Hansen at Stanford builds the Mark I Linac, using the magneton developed in WWI, capable of accelerating electrons to 6 MeV. 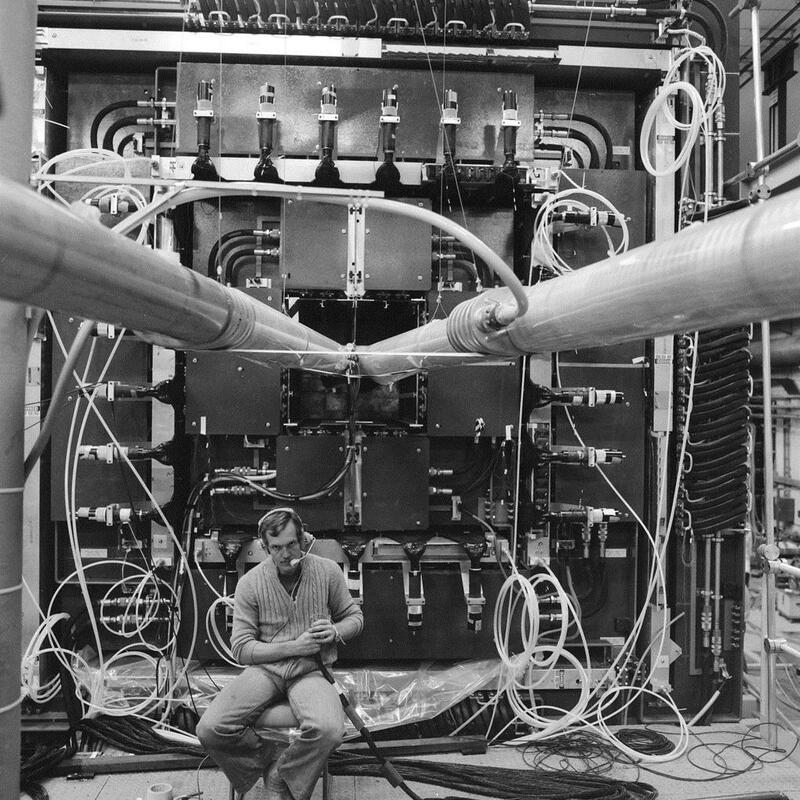 Bill Hansen at Stanford builds the Mark II Linac, using the Klystron developed by Marvin Chodorow, capable of accelerating electrons to 35 MeV. 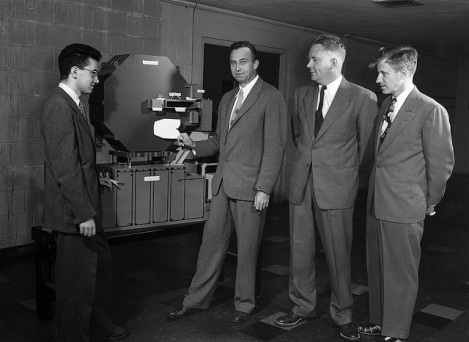 Donald Kerst builds a Betatron capable of accelerating electrons to 300 MeV. Alternate-gradient (AG) (magnetic) focusing is developed by Ernest Courant, Milton Livingston & Hartland Snyder. Scientists at the University of Birmingham propose new ring-shaped magnets to avoid using large, expensive, electromagnets and build a Synchrotron that is capable of accelerating protons to 1 GeV. 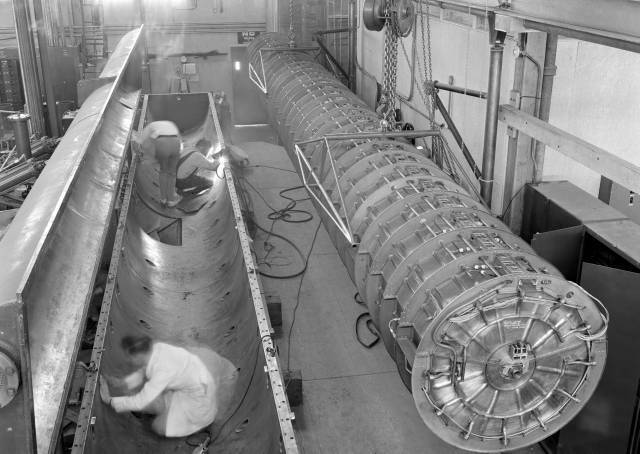 The English physicist Philip Dee builds a 350 MeV electron Synchrotron at the University of Glassgow. Scientists at Brookhaven develop new C-shaped magnets and build a Synchrotron capable of accelerating protons to 3 GeV called the Cosmotron. 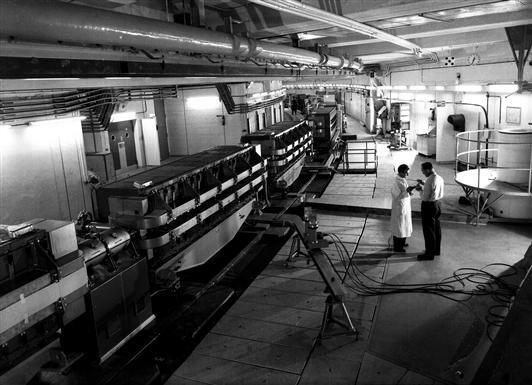 Bill Hansen builds the Mark III Linac capable of accelerating electrons to 630 MeV. 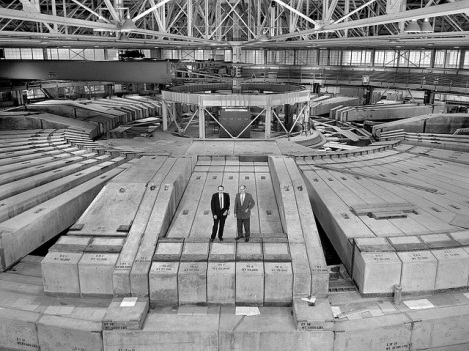 Milton Livingston builds a Synchrotron capable of accelerating protons to 6.2 GeV called the Bevatron. Donald Kerst investigates the collision of particle beams at relativistic energies. Scientists at Dubna USSR build a Synchrotron capable of accelerating protons to 10GeV called the Synchrophasotron. Scientists at CERN, Geneva, using Alternating - Gradient focusing build a Synchrotron capable of accelerating protons to 28 GeV called the Proton Synchrotron (PS). Scientists at Brookhaven build a Synchrotron capable of accelerating protons to 33GeV called the Alternating - Gradient Synchrotron (AGS). 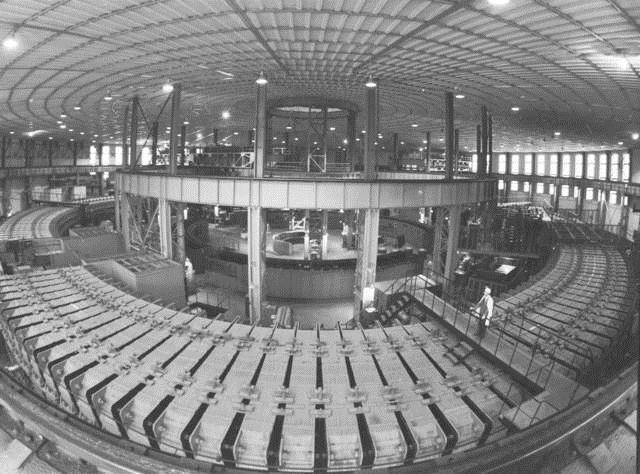 The Austrian physicist, Bruno Touschek builds the first storage ring, an electron - positron storage ring, in Italy called Aneii di Accumulazione (AdA), but is too small to be of experimental use. 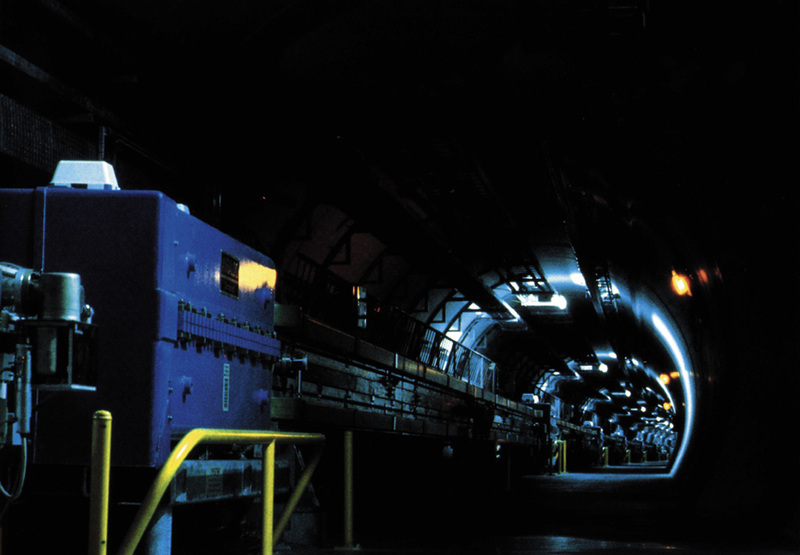 Leon Lederman, Melvin Schwartz and Jack Steinberg discover the Muon Neutrino using the Alternate Gradient Synchrotron at Brookhaven National Laboratory. At SLAC (Stanford Linear Accelerator Centre), a 2 mile long linear accelerator capable of accelerating electrons to 18.4 GeV is built. 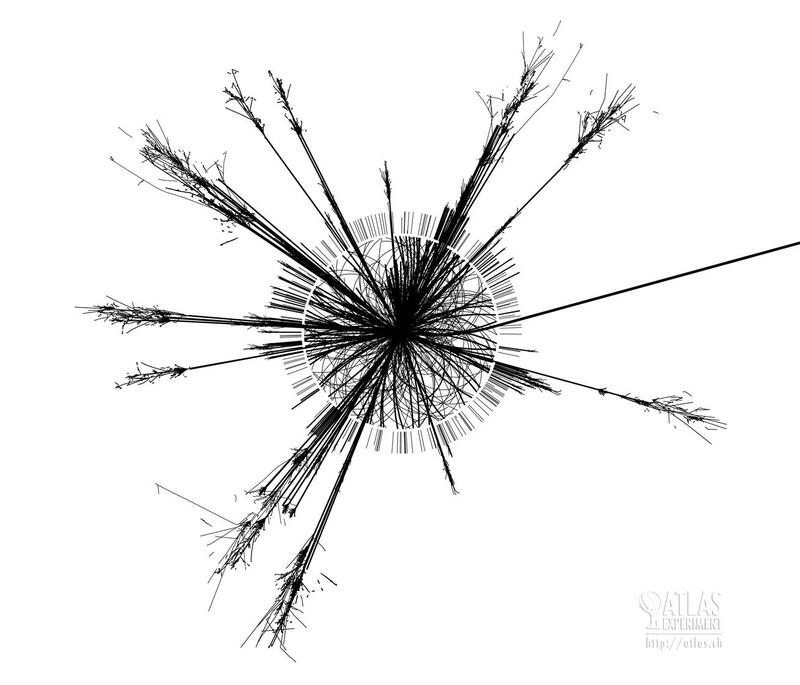 Quarks are discovered at SLAC. The Russian physicist, Gersh Budker first discusses the idea of proton - antiproton colliders including a damping technique called electron cooling. 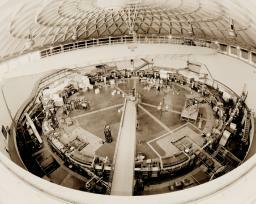 Scientists at Frascati, Italy build the ADONE (big AdA) storage ring and collide 3GeV electron and positron beams. The Dutch physicist Simon van der Meer proposes stochastic cooling. Researchers at SLAC carry out deep inelastic scattering experiments of protons and neutrons and discover the up, down and strange quarks. Scientists at CERN build the Intersecting Storage Ring (ISR) on the CPS where 26 GeV proton beams are collided. The Italian physicist Claudio Pellegrini proposes an electron - proton collider. 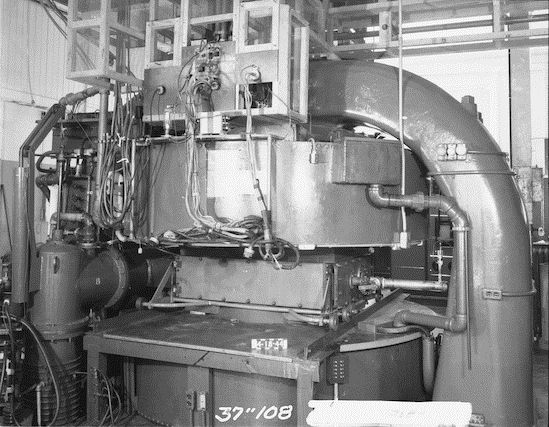 The J/psi particle was discovered at SLAC (psi) and Brookhaven National Laboratory (J) near simultaneously and the name J/psi was decided upon to credit both Labs. The J/Psi particle is a bound state of the Charm and Anticharm quark, this was the first time the charm quark was seen. 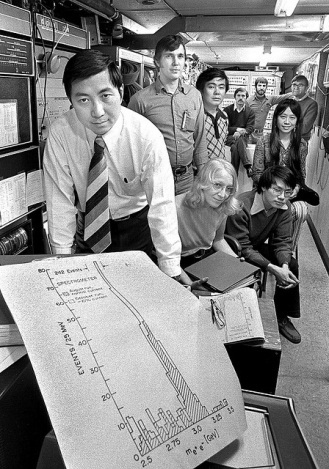 The Tau lepton is discovered by a team led by Marvin Perl using the SPEAR colliding ring at SLAC. Scientists at CERN build the Super Proton Synchrotron (SPS) capable of accelerating protons to 400 GeV. 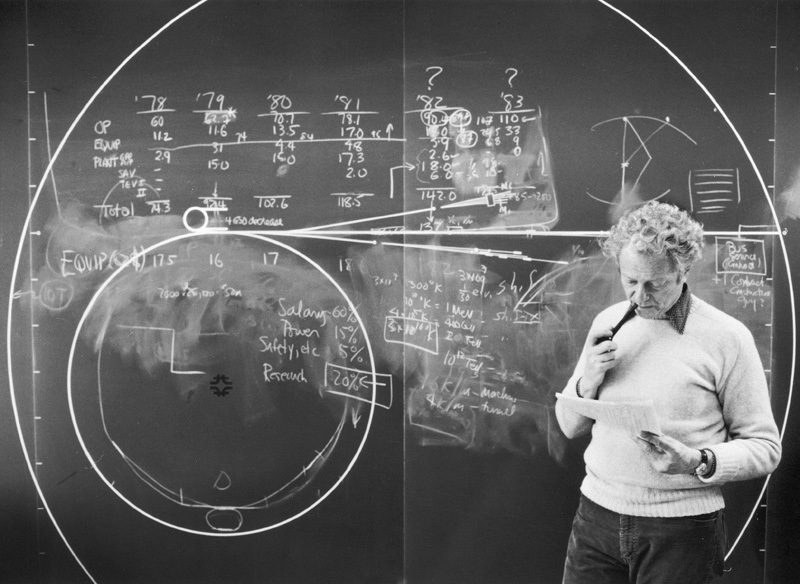 The bottom quark is discovered by a team led by Leon Lederman using the Tevatron at Fermilab. 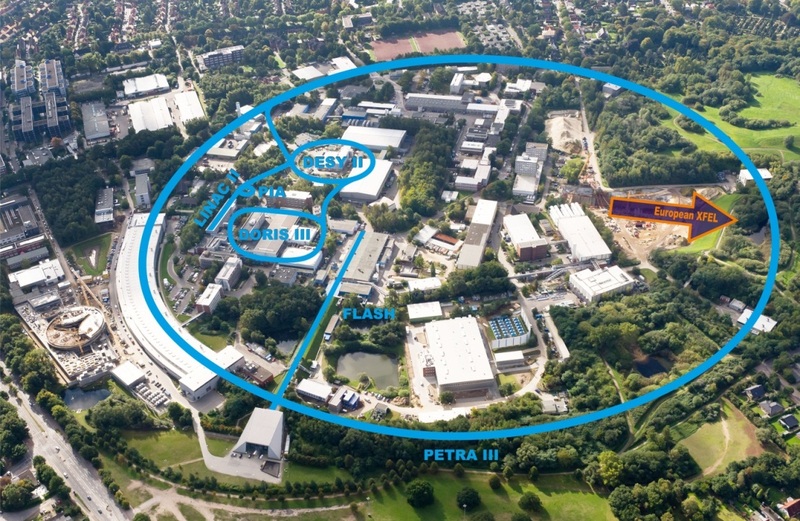 Scientists at the Deutsches Elektronen-Synchrotron (DESY) build the Positron Electron Tandem Storage Ring Accelerator (PETRA) and collide 22 GeV electron and positron beams. Scientists at DESY working on the PETRA accelerator discover the gluon. 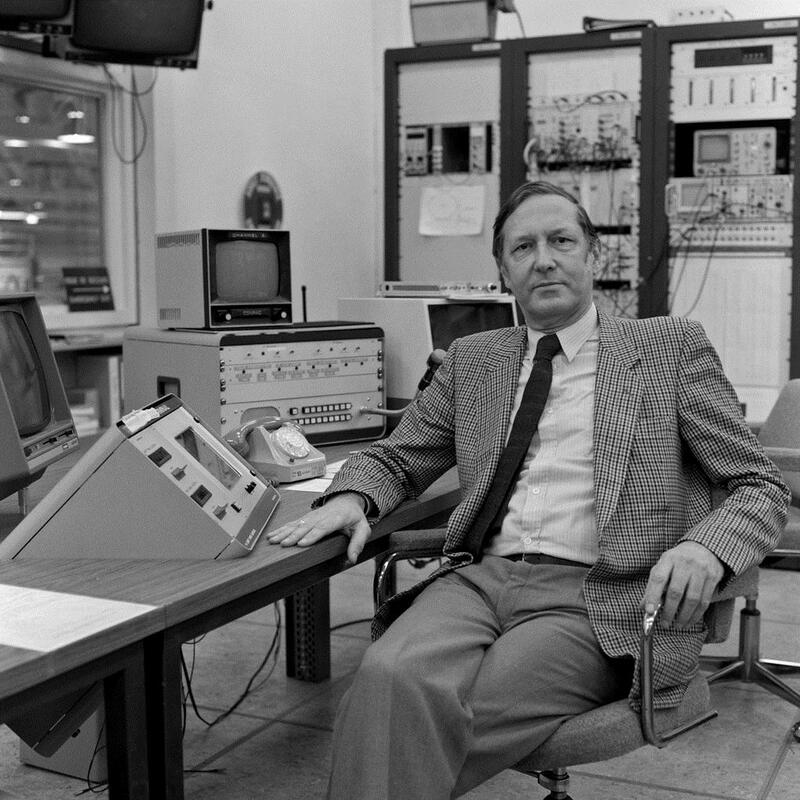 SPS at CERN is converted into a proton - antiproton collided after a proposal by the Italian physicist Carlo Rubbia. 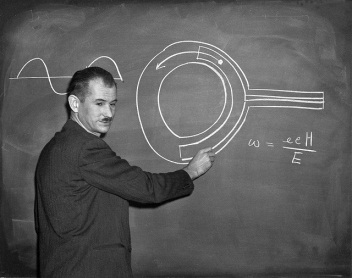 In doing so the W and Z particle are discovered in 1983. Scientists at the Fermi National Accelerator Laboratory (FNAL) build the Tevatron and collide 900 GeV proton and antiproton beams resulting in a 1.8 TeV center of mass energy collision. 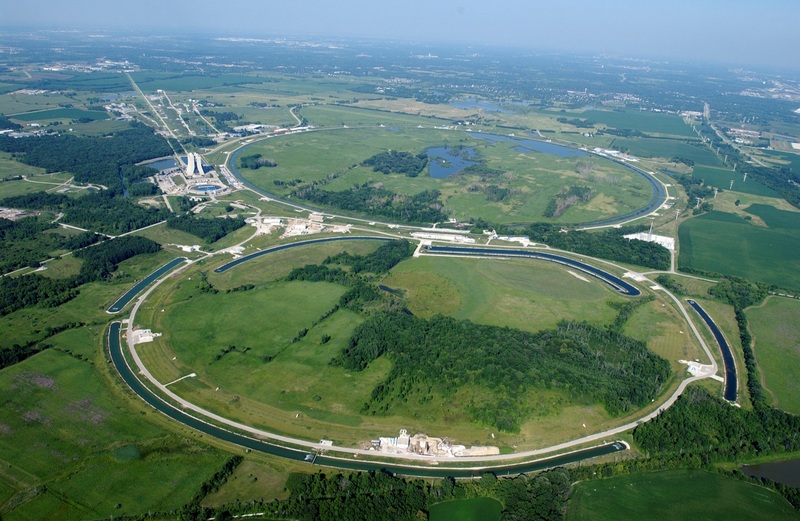 The Tevatron is the first accelerator to use superconducting magnets. 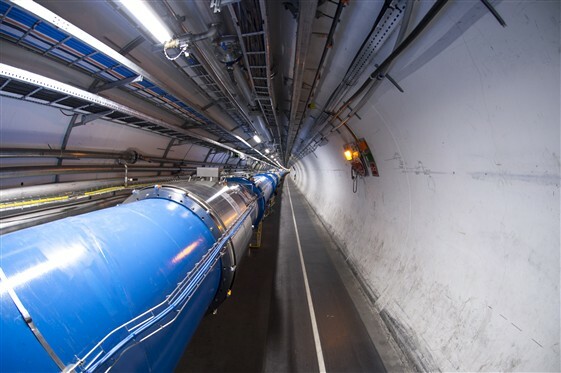 Scientists at CERN build the Large Electron - Positron collider (LEP) and collide 100 GeV beams of electrons and positrons. 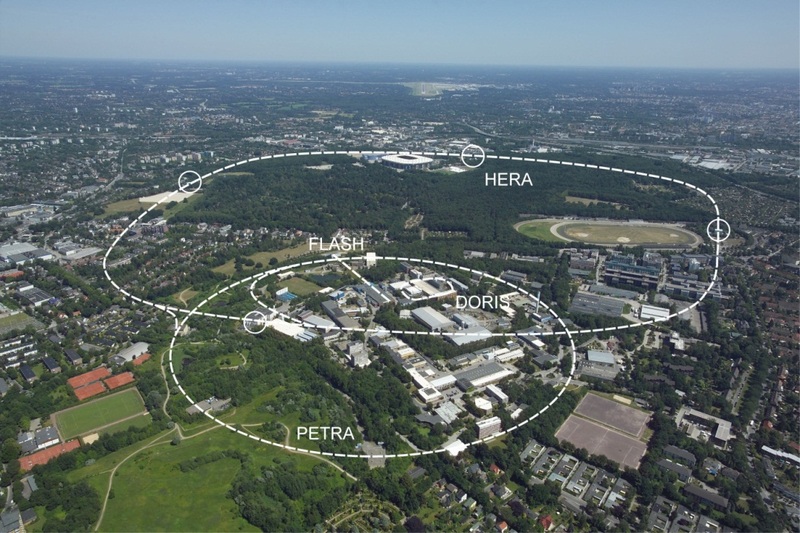 Scientists at DESY build the first electron - proton collider, HERA. 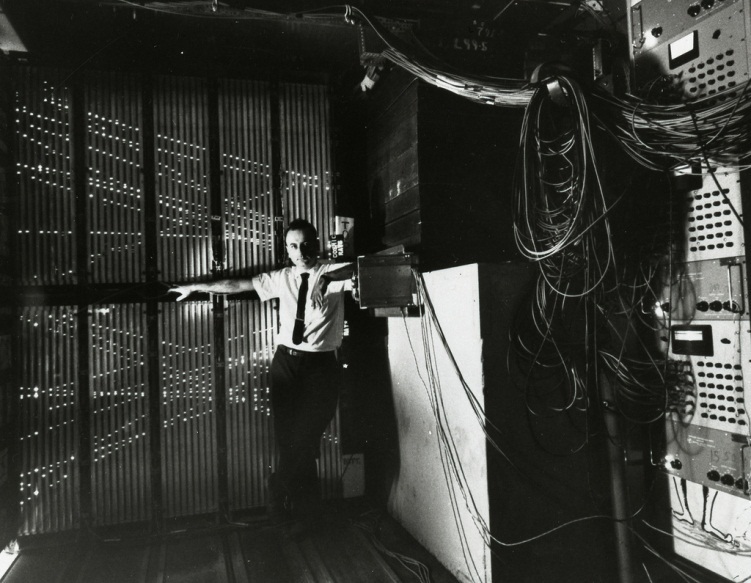 The last of the quarks, the top quark is discovered by scientists working on the Tevatron at Fermilab. 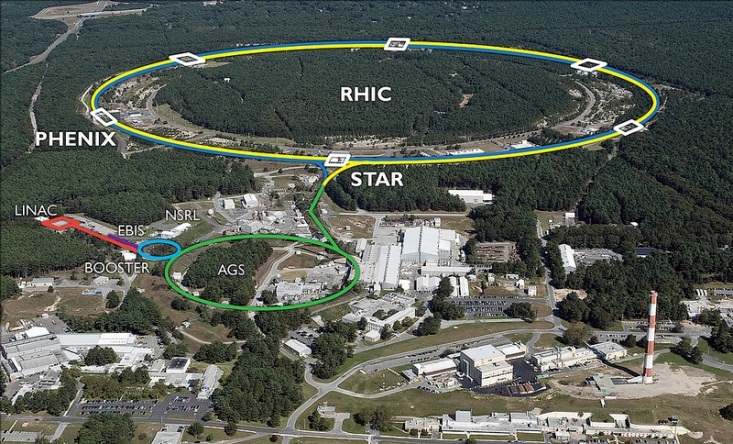 The Relativistic Heavy Ion Collider (RHIC) is completed in the US and successfully collides Gold ions for the first time. The Tau neutrino is discovered at Fermilab using the Tevatron. 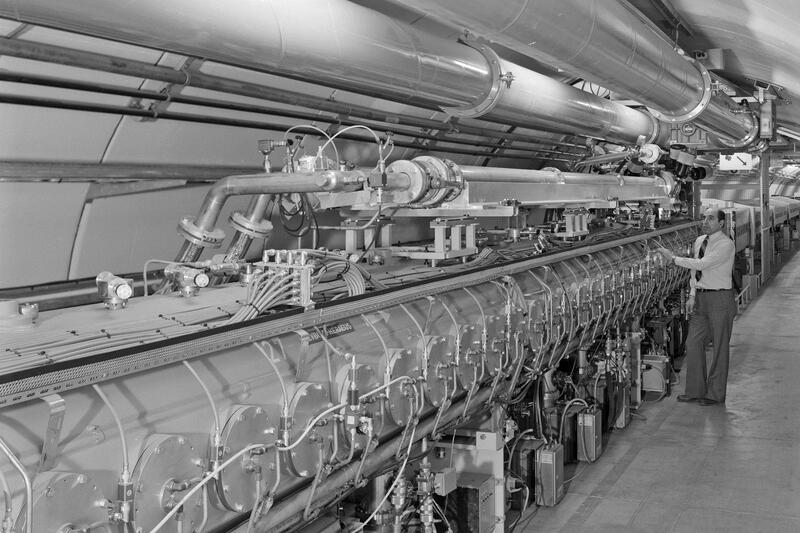 The Large Hadron Collider (LHC) is completed at CERN. 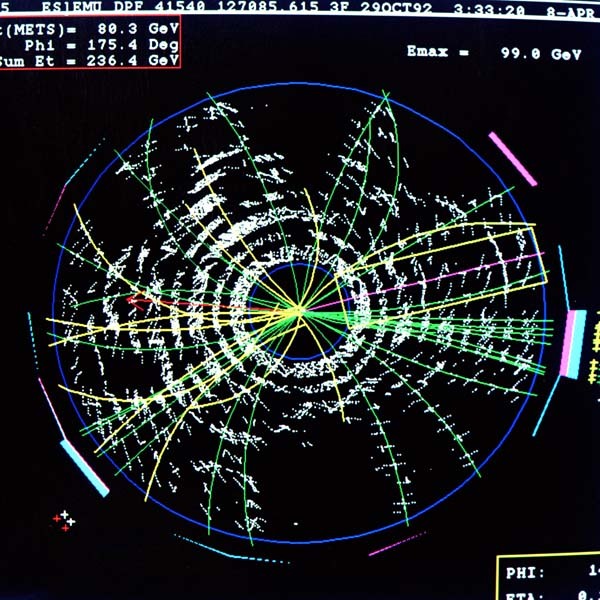 The LHC achieves 1.18 TeV beam acceleration. 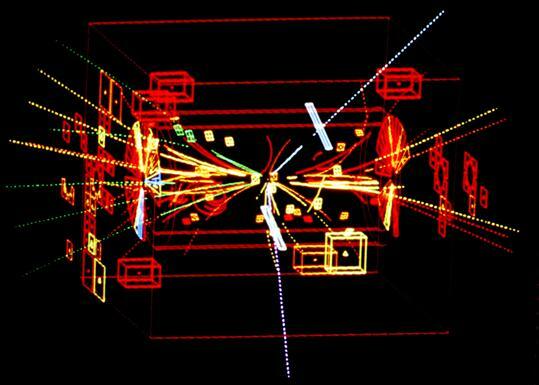 The LHC collides two 3.5 TeV beams of protons resulting in a 7 TeV centre of mass energy collision. 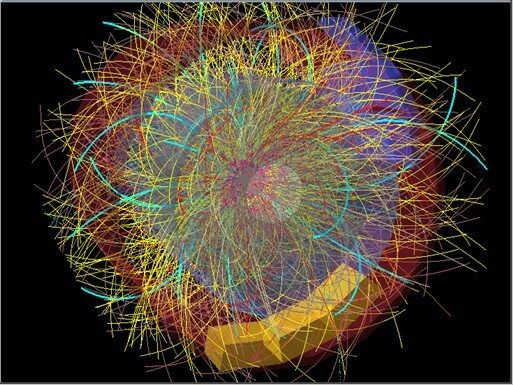 LHC collides lead ions. 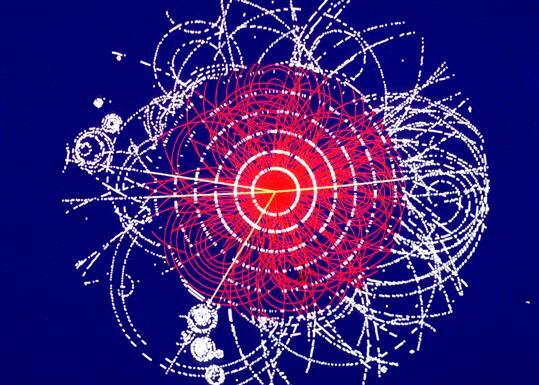 Quark - gluon plasma is created at the LHC. 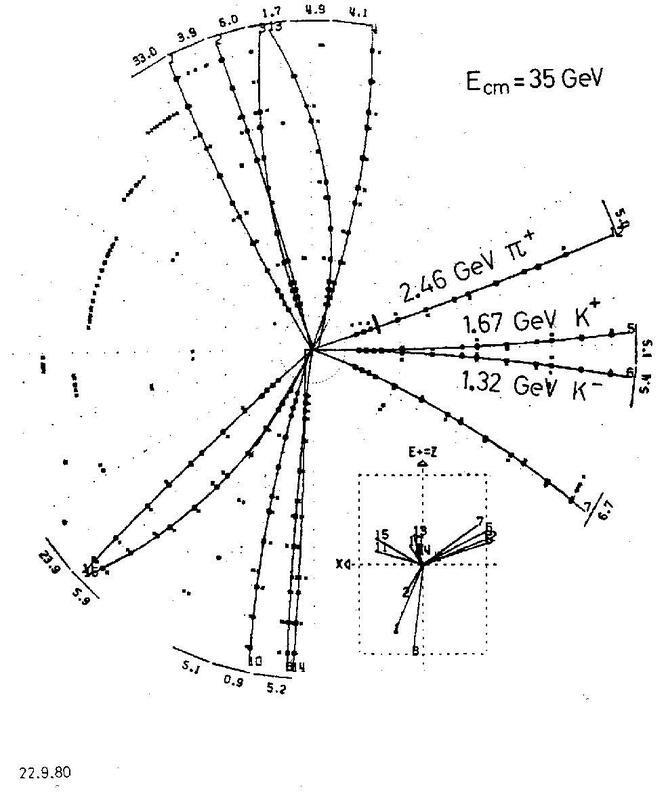 The LHC collides two 4 TeV beams resulting in a 8 TeV centre of mass energy collision. 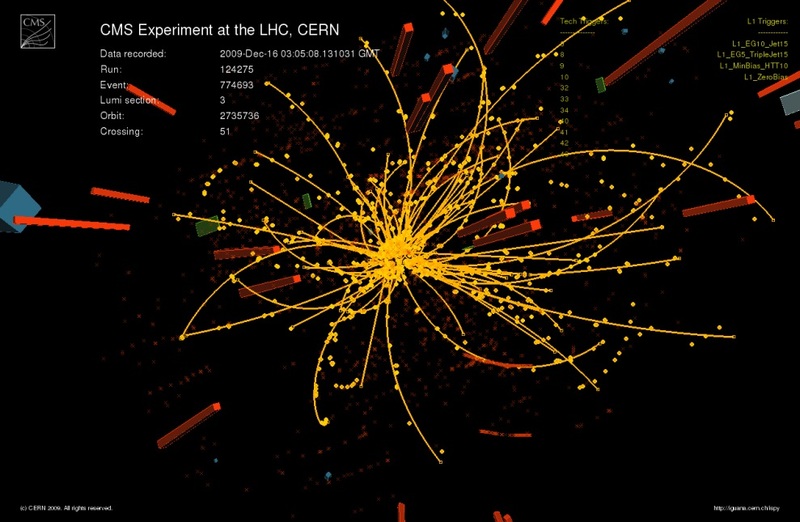 A new particle which could be the Higgs boson is discovered at the LHC.